The painted train platform in Melbourne Central is a clear representation of the institutionalization of street art. Here we see the intersections of the government operated public sphere—transportation infrastructure—with independent street artists. 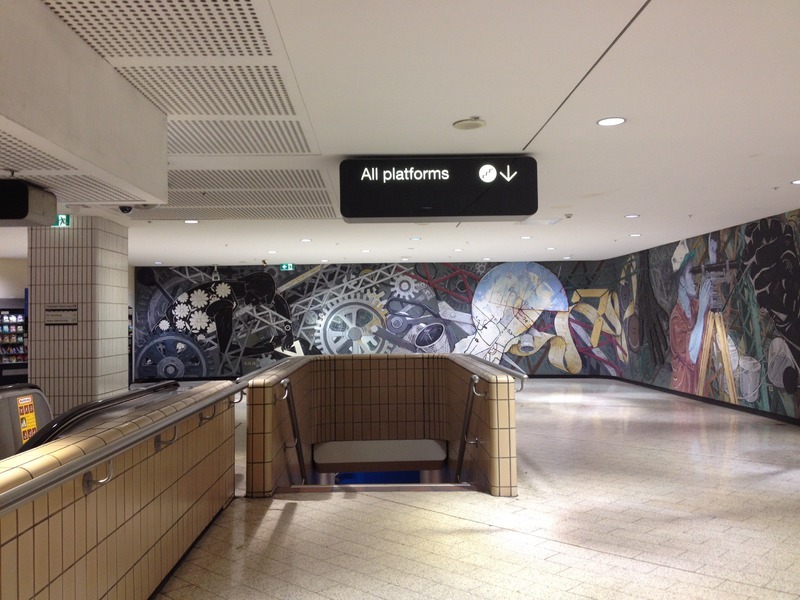 The placement of the art in the station alludes to the iconic New York subway graffiti scene in the 1980s, which was transported to Melbourne through MTV music videos and full color street art books. 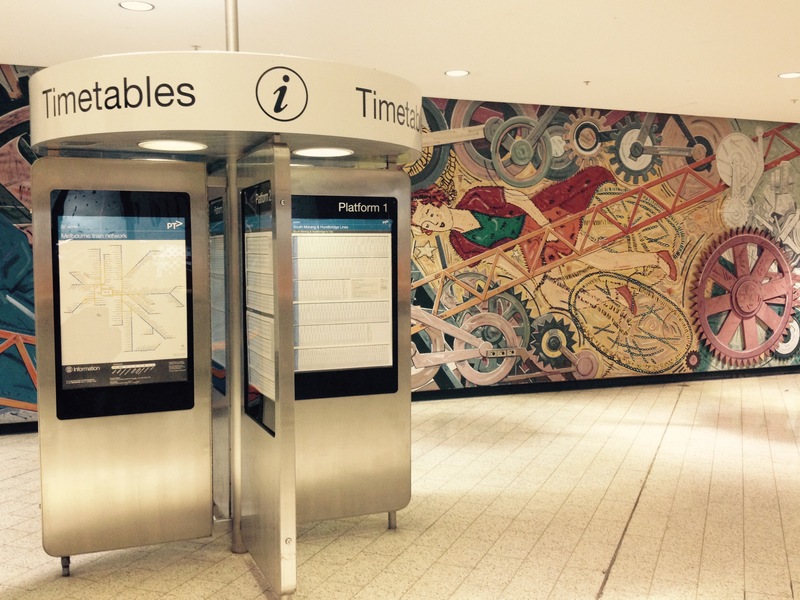 The placement of street art in Melbourne Central also conflates art and commercialism. Melbourne Central—a shopping mall in addition to a train station—is contingent on the consumption of goods. By putting street art in the mall, the inherently organic, genuine thing that is art becomes superficial—something to appeal to the masses and something that is contrived. 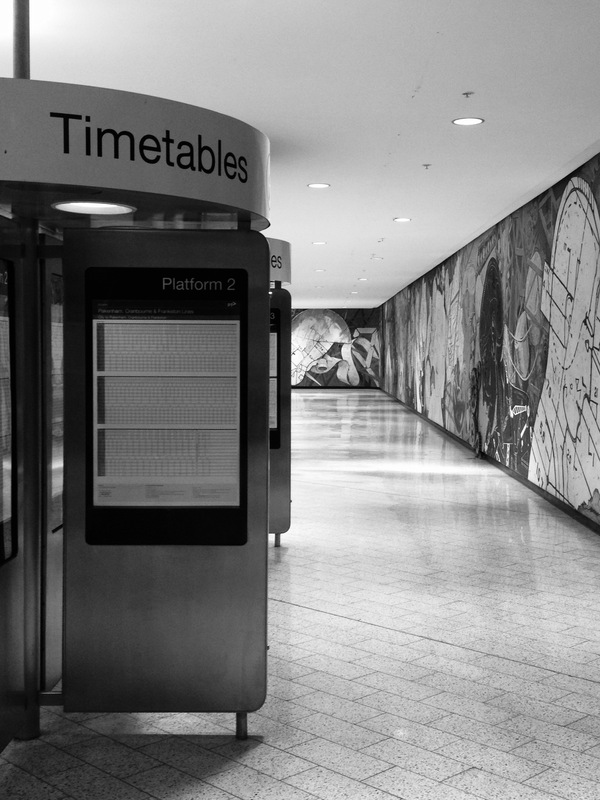 “Train Platform, Melbourne Central,” Street Art deTours, accessed April 24, 2019, http://streetartdetours.com/document/932.